BelarusDigest > All > Are Belarus and Russia Altering the Regional Military Balance? Speaking last week at a Moscow conference on global security, Belarusian Defence Minister Andrei Raukou said that Minsk views the increasing number of NATO forces on its borders as a challenge to the military security of the country. He did not explain how his government was going to respond, though one of the possible options would be tightening its alliance with Russia. In February, the US Intelligence Community in its Worldwide Threat Assessment also claimed that Belarus was deepening its military cooperation with Moscow. The facts, however, paint a very different picture. The Belarusian military has bought little in the way of new equipment following independence. The meager list of acquisitions – as discussed below – shows that Moscow is neither in a hurry to supply Minsk with arms, nor is Minsk doing its utmost to obtain them. Following the onset of the conflict in Ukraine, there are only two equipment transfers of note. 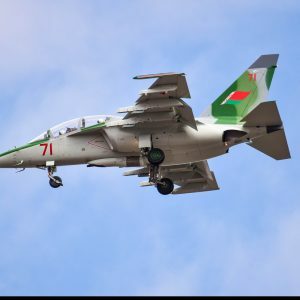 This month the Belarusian air force will receive four Yak-130s, a jet trainers/light ground attack aircraft. These are the first new planes since independence they have received and are a poor substitute for modern jets, a luxury which Belarus cannot afford. In February, news emerged that Minsk would also buy twelve Mi-17 troops transport helicopters. This deal will itself do little to seriously strengthen the Belarusian military. Other future military equipment imports from Russia are even less noteworthy. Minsk, for example, is set to buy some Russian Irkut-3 and Irkut-10 mini-drones – dual-use items that are used for surveillance. Delays appear all but inevitable when it comes to the acquisition of more significant equipment. In 2011-2013, Belarus bought three batteries of the Tor-M2 short-range surface-to-air missile system (SAM). Clearly, these armaments can hardly be called a significant contribution to the growth of Belarus's military might. Minsk plan to have at least ten batteries of Tors by 2020, yet it is highly unlikely that they will meet their target on time. And is it really as important as some might believe that this year Russia is going to transfer to Belarus four divisions of S-300 long-range SAM systems? Russia is decommissioning these systems and their transfer to Belarus merely signals that Minsk will finally finish replacing its antiquated S-200s with S-300s. For all appearances, it looks like an upgrade but only in a Belarusian context. Russia itself has abandoned the S-300 for the S-400 and is even starting to export them. Defence analyst Alyaksandr Alesin described to Deutsche Welle radio Minsk's plans to acquire more advanced weaponry from Russia, specifically, that it wants to replace its S-300s with long-range S-400s and also its dated short-range Tochka-U ballistic missile systems with the newer Iskander-E. These plans are unlikely materialise anytime in the near future. Russia is incapable of quickly producing sufficient amounts of S-400s even for its own needs, much less produce enough to sell to countries who can afford to pay for them. It has little interest in essentially gifting these advanced arms to Belarus, who cannot afford them. Concurrently, Russia is working on establishing its air force base in Babruysk. The media occassionally reports on the progress of the construction of the airfield there, but the timetable for the implementation of Kremlin's plans has already come and gone. Moscow planned to station half of a designated set of aircraft (12 out of 24) by the beginning of 2015, yet has failed to do so thus far. At the moment only four Russian Su-27P fighter jets are stationed at Baranavichy. Minsk has delayed the establishment of its Single Air Defence System with Russia for about a decade, and will likely resort to the same tactics when it comes to dealing with the Russian air force base. It is no wonder then that the first real military base in Belarus involves more sensitive issues than the integration of each country's respective air defence structures. The Belarusian government has resisted the Russian base's establishment from the start and pushed hard to get acquire new aircraft from Russia instead in order to be able continue its much-publicised role as guardian of Russia's western borders — but to no avail. In view of the decommissioning of aging Belarusian aircraft, the Kremlin is exerting more pressure on Minsk to accept aircraft under Russian command, thus closing up a defense gap in Moscow's immediate neighbourhood. Moscow is pursuing a strategy that resembles the Nixon Doctrine, but flipped on its head. In the 1970s, US President Nixon insisted that US weapons for indigenous forces can serve as a replacement for the presence of American military personnel abroad. Putin has done the opposite in deploying to Belarus Russian aircraft instead of providing any to Minsk. The Belarusian leadership hopes to renegotiate the terms of the Russian base forced upon it by the Kremlin. Minsk's behaviour clearly demonstrates these very intentions. It has not only delayed the deployment of Russian planes to Babruysk, but has also put the planned Russian base in a precarious legal situation. While Minsk has formally agreed to an increased Russian air force presence, it has not created legal grounds for its continued presence. The current law allows for Russian forces to be deployed to the air base, but leaves Minsk with the option of rescinding its offer at any time it so pleases. No harmony exists in the two nations' military industrial cooperation, either. Last year, Russian officials swore that they would hand over military equipment contracts previously placed with Ukrainian firms to Belarusian enterprises. Yet, at the beginning of 2015 Belarus' Military Industrial Committee announced that Belarusian firms were receiving even fewer Russian military-related orders than previously. Another telling example: various Russian officials – from Prime Minister Putin to Deputy Prime Minister Dmitri Rogozin – for years have promised to allow Belarusian enterprises to directly participate in tenders for Russia's national defence forces, yet nothing has come of it to date. In January, the chairman of Belarus' Military Industrial Committee Siarhei Hurulyou reiterated that Belarusian still had no ability to directly participate and has to resort to subcontracting and other schemes. Moscow is struggling with the financial consequences of confrontation with the West and cares more about Russian, rather than Belarusian, defence industries. The budget of the Union State of Belarus and Russia presents yet another case in point. In 2015, funding for military technical programmes from this budget made up less than 40 percent of what it was a year ago. To put it simply, one sees few signs that the Belarus-Russian military alliance is growing in strength. Belarus has minimised its defence spending, while Russia has little regard for Belarus as a true ally. Moreover, the Kremlin prefers to deploy its own troops rather than cooperate with the Belarusian government. A similar situation exists with their respective defence industries. Despite promises to increase cooperation and provide equal opportunities for Belarusian and Russian enterprises, problems persist. Moreover, Russia is effectively pursuing a policy of replacing foreign military components in its defence product line with Russian-made ones. This policy is harmful to the Belarusian defence industry – especially automotive manufacturers – and puts Belarus-Russian cooperation in this field at risk. Russian pro-government media outlet Lifenews has recently criticised Lukashenka's decision to not participate in the 9 May Victory Day Parade in Moscow. Many in Russia think that Minsk's integration rhetoric has been replaced with a form of soft Belarusianisation​. Following the events in Crimea, Lukashenka has begun to demonstrate more support and concern for the Belarusian language and national history. Still, he is trying to maintain some balance and good relations with Russia for the sake of its economic support. The last time the political scale shifted in this direction, increased rhetoric about independence and more engagement with Europe followed. In addition to the state's renewed interest in Belarusisation and cultural initiatives, support for these changes in society is also on the rise. The 'soft' Belarusisation policy and the activity of the organisations such as Art Siadziba are in growing demand in Belarus. The term 'soft Belarusisation' was employed by Lukashenka publicly for the first time during his open dialogue with the media in January 2015. Judging by his words, it appears that Lukashenka regards Belarusisation as means of countering Russian influence. "Some in Russia are bothered by some soft Belarusisation … while in Russia they are accustomed to using terms like 'the Russian World', 'soft power'. 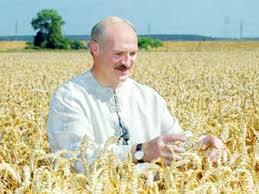 We have promoted 'soft Belarusisation' [at home]," said Lukashenka. However, the reality after Crimea's annexation has discounted popular opinion (especially among opponents of the regime) that Lukashenka is an ideological supporter of Russia and is willing to sacrifice Belarusian independence, if need be. On the contrary, after following the events in Crimea, Lukashenka has solidified his role as a mediator and peacekeeper on the Ukrainian issue and has started moving slowly towards promoting a Belarusian national revival. Lukashenka explained his new position by stating, “I support the Belarusian language, because it distinguishes us from the Russians. This is a feature of our nation”. The Belarusian head of state explained his new policy in simple and straightforward manner in April 2014 when he declared, "we are not Russians, we are Belarusians", a mere month after the occupation of Crimea began. In the past, he has freely spouted off slogans like "Belarus and Russia are one nation" and other similar phrases indicating their oneness. As of late, he has turned towards employing the Belarusian language in his speeches. The Ministry of Education's own policies also appear to be following Lukashenka's lead. For example, according to Minister of Education Mikhail Zhuravkov, “we will soon come to understand that we need to have more than half of all academic subjects in the Belarusian language”. Official attitudes towards history have also changed. Previously, the authorities mainly focused their energies on the Great Patriotic War (World War II), but now their opinions have shifted towards early periods of time in Belarus's history. The installation of a monument in honour of Algerd, the Grand Duke of Lithuania, is just one such example, erected in Vitebsk, near the border with Russia, on 27 June 2014 (Vitebsk's City Day). The Grand Duke Algerd doubled the domain he reigned over through wars with Moscow at a time when Belarusian lands were an essential region in the Grand Duchy of Lithuania. It is plain for anyone to see how this historical figure does not suit Lukashenka's prior rhetoric about the "historical friendship and unity" of Belarus and Russia. The Vitebsk Cossacks and the Communists have made an appeal to Minsk, asking Lukashenka not to erect the Algerd monument. Historical memory, as it turns out, is much more important to the authorities than local pro-Russian social movements' support – and the monument was solemnly unveiled as officials from Vitebsk looked on. Lukashenka justified this move, saying, “At one point in Vitebsk … some people started saying that because of the [process] 'soft Belarusisation', Belarus will lose out on its Russian interests, and so I asked the question: where are our interests? Everything that is on Belarusian territory is our vital interest”. Altogether this form of Belarusisation, i.e. the gradual, largely voluntary extension of the use of the Belarusian language, support for the development and dissemination of Belarusian culture, historical and cultural heritage via the creation of cultural policy, is slowly beginning to take hold. Of course, this policy of Belarusisation is not simply the domain of the Belarusian authorities. In society, demand is growing for the promotion of the Belarusian language and the nation's history and culture. The events in Ukraine have increased these types of initiatives’ popularity and stimulated manifestations of patriotism and national identity. Consider the recent Festival of Belarusian Culture “Sniezhan” (31 January 2015) or a Belarusian language pub-quiz game “Varta” about Belarusian history (held three times from February-April 2015) that recently sprung up. There is also the independent cultural initiative Art Siadziba (Art Headquarters) that organises a variety of popular events to promote Belarusian culture and the arts and manufactures clothes with traditional Belarusian ornamentation. Last, but not least, is the “Mother Language Festival”, organised by Art Siadziba 22 February 2015 (International Mother Language Day by UNESCO). Thousands of Belarusians attended free open courses in the Belarusian language called Mova Ci Kava & Mova Nanova in Minsk and many regional towns thanks to growing popular demand. What Will Belarusisation Lead To? Lukashenka, however, has to seek a balance between both sides. On the one hand, he has to use his traditional fraternal rhetoric and alliances with Russia to get it to provide Belarus with loans and discounted energy. On the other hand, Lukashenka needs to guide Belarus away from Russia, be it through a policy of 'soft Belarusisation' or improving ties with the West in order to minimise potential threats to Belarusian sovereignty and to his own power. All of these initiatives aimed at promoting Belarusisation – sponsored by the state and civil society – are extremely popular and relevant. To some extent, it reflects a new national-oriented period in Lukashenka’s policy. New possibilities are slowly emerging for Belarusian political and civil actors. Leading up to the presidential election in November this year, one can only view from afar how they use this window of opportunity.